Il software BPM giusto può trasformare la tua attività. Process – Easy, web-based modeling using BPMN and SOA methodologies enables rapid development and automation of business processes. Rules – Automate, enforce and audit policies and practices of a dynamic, rule-driven business process software. Design tools – Rich, easy-to-use dashboard creation tools enable users to quickly build simple interfaces that deliver personalized content to complete work faster. Forms – Drag and Drop forms creator makes it easy for business users to create interactive forms for users. Analytics – Track real-time process performance, create rich reporting dashboards, identify process bottlenecks, and optimize business process efficiency flow. Mobile – With Appian, native mobility is included. Build once and deploy instantly across any mobile devices. Content – Integrated document and content management allows you to store, secure, version, search, and manage content across your business. Collaboration – Encourage enterprise collaboration with process integrated threaded discussions, message boards, and targeted content for every user. Data Access – Converge complete information from across enterprise systems on any topic in seconds. Then, view a drill-able summary report with as much detail as you need. SOA and Integration – Use standard SOA development to build a repository of reusable services that accelerate your business process software deployment. Visibility and Transparency – Appian user interfaces provide more visibility to important business events, so everyone involved has the right context to take the right action. Le aziende hanno tutte una cosa in comune: sono diverse tra loro. Programmi diversi, processi diversi, culture diverse. Con Appian la diversità diventa la tua migliore risorsa. 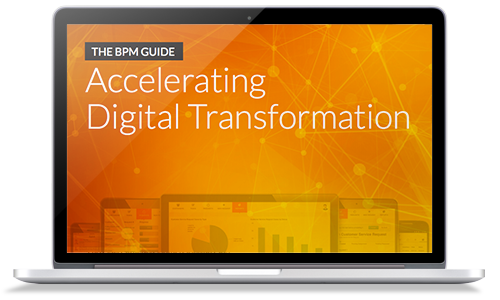 Usa il software BPM leader sul mercato per progettare, eseguire, gestire e ottimizzare i processi, in modo da poterti concentrare su ciò che sai fare meglio.